How to add a Source to Cydia. You are here: Home / How to add a Source to Cydia. If you have not jailbroke your iPhone, you will need to do that first. 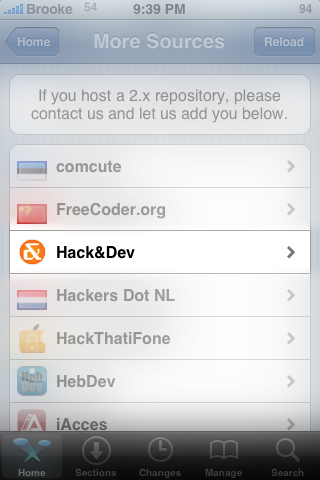 Please see our f.a.q page for more information about jailbreaking. 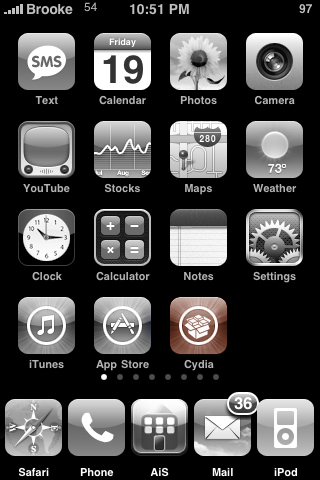 When you jailbroke your iPhone, iPad or iPod Touch, the Cydia application was added to your device automatically. It was added to your iPhone/iPod Touch’s SpringBoard with the rest of the stock applications like Calendar, Maps, Weather etc. Cydia is what you use to add more applications (games, utilities…) to your iPhone. For more information about Cydia, please see our f.a.q page. When Cydia is added to your iPhone or iPod Touch, it only has a few sources installed. A sources is a web address linked to servers where the applications are downloaded from. For example, the BigBoss source will have different applications than the iSpazio source. If you want an application that is in the iSpazio source, you will need to add that source to Cydia. Once a source is added to Cydia, all the applications in that source will show up in Cydia as applications available to be added (installed) on your iPhone or iPod Touch. You can find a list of all the available sources on our Sources Page. There are two ways to add sources to Cydia. The first is to install them through Cydia itself. The second is to manually add the source to Cydia yourself. Below is a video and step-by-step guide for both. 1. 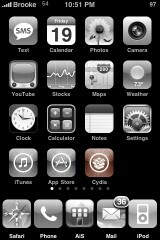 Find the Cydia application on your iPhone’s SpringBoard. 2. Tap on the Cydia icon. This will open the Cydia application. 3. Select the Home option on the lower menu bar (Cydia most likely opened to the Home page automatically). 4. Select the More Package Sources option. 5. This will open a list of all the sources that are available to be installed through Cydia. 6. Tap on the source you would like to install. 7. This will open the information page for that source. It will include the source title, the version number for the source, the source ID, the section the source belongs to, the maintainer of the source, whether or not the package has been signed, and more information about the source. 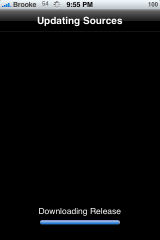 To install the source, select Install in the upper right corner. 8. This will bring up a pop-up window in which you will need to confirm that you would like to Install the source. You can do so by selecting Confirm in the upper right corner. You can also choose to Cancel the install by selecting Cancel in the upper left corner. 9. Wait for the source to Install. 10. Once the source is finished installing, select the Return to Cydia option at the bottom of the page. 11. This will bring you back to the source information page. You will want to select More Sources in the upper left corner. 12. The source has now been added to your sources list and the applications in that source have been added to Cydia. 3. Select the Manage option on the lower menu bar. 4. Here you will see two options; Packages and Source. You will want to select the Sources option. 5. This will bring you to the list of sources that are already installed on your iPhone or iPod Touch. 6. To add a new source, select Edit in the upper right corner. 7. Now select Add in the upper left corner. 8. This will bring up a pop-up in which you can enter the url for the source. Do not delete the http://. Just begin typing the url after the http://. The source url needs to be typed into your iPhone/iPod Touch perfectly. 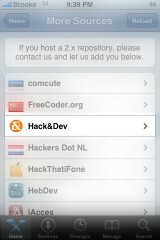 Make sure if there are capitol or lower case letters in the url, that you enter them into your iPhone exactly the same. Be careful to watch for words that your iPhone might automatically capitalize that are not capitalized in the url. 9. Once the url has been entered, select Add Source. 10. Wait for the sources to update. 11. Once the sources are finished updating, select the Return to Cydia option at the bottom of the page. 12. This will bring you back to the list of sources. 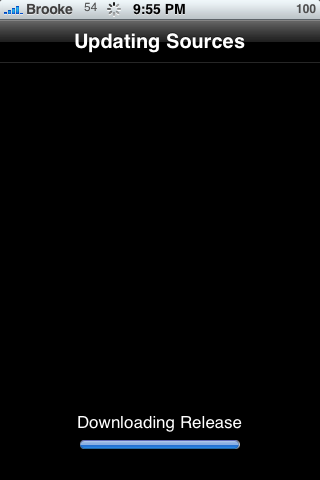 Select Done in the upper right corner. 13. The source has now been added to your sources list and the applications in that source have been added to Cydia. I have been exploring for a little for any high-quality articles or blog posts on this kind of space . Exploring in Yahoo I at last stumbled upon this web site. Reading this info So i’m satisfied to show that I have an incredibly just right uncanny feeling I discovered exactly what I needed. I most for sure will make certain to don?t fail to remember this web site and provides it a look on a continuing basis. hey dude, you are a real teacher aren’t you? Awesome thanks. Helped me get same sources as my wife’s phone. its really help full thnkx alot….! Hi all, I have considered buying the computer software DubTurbo Beatmaker and was hoping somebody could give me an actual genuine evaluation of the software package. The vast majority of webpages that provide you with reviews at the moment are internet marketers advertising the computer software so that i question that the appraisals are reliable. Many thanks in advance for just about any insight somebody can offer. where to get english cydia ?, i always get the arabic 1 tskkk. I was interested to find ouut how you center yourself and clear your thoughts prior to writing. it just seems likle the first 10 to 15 minutes are usually wasted simply just trying to figure out how to begin. Any suggestions or tips? this article is in fact a fastidious article, keep it up. precious familiarity on the topic of unexpected feelings. That nice tutorial. But can someone confirm that is the method same if we are trying to add repo to cydia in iOS 8?